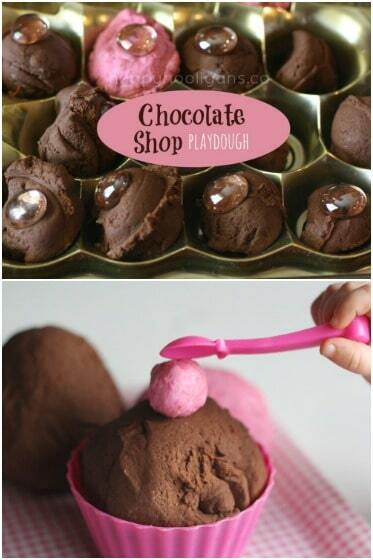 Chocolate shop play dough activity for Valentines Day! 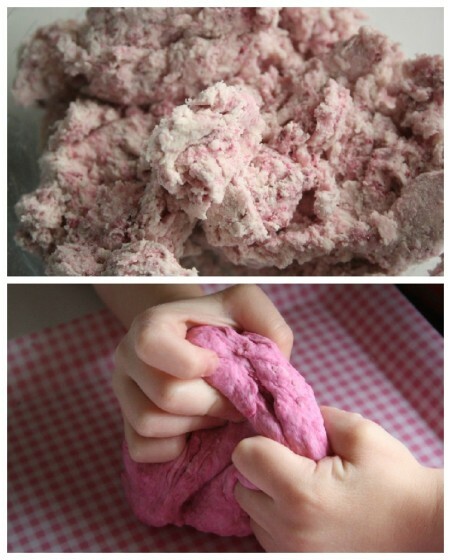 Here’s a question for you: have you ever scented your homemade play dough to make it smell delicious? Oh my goodness. We made this chocolate scented playdough as a Valentine’s activity today, and also a strawberry scented dough, and they smelled divine! 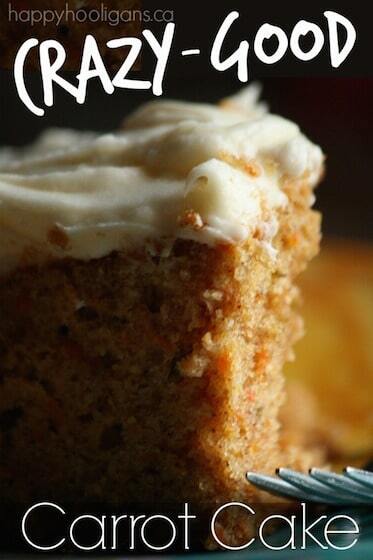 As long as your kids are past the age of wanting to taste everything they play with, you should give this dough a try. 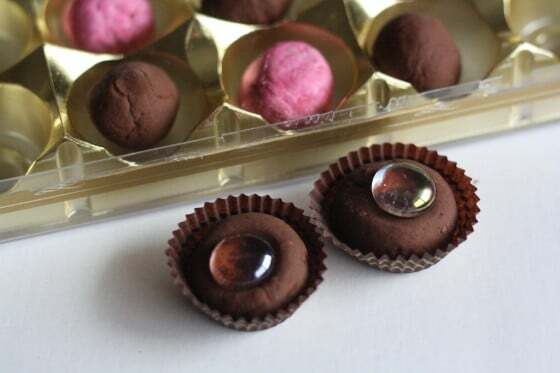 We played with it for ages as a Valentine’s chocolate shop, but it would be wonderful any day of the year. Of all the things we play with here, homemade playdough is among one of he favourites with the hooligans. I always have a batch on hand, and I enjoy making special coloured and scented playdough for holidays and special days. Today, the hooligans and I set up a play dough chocolate shop in anticipation of Valentine’s Day! We started by making our strawberry dough. I would normally use red kool-aid for the scent and colour here, but alas, I had no kool-aid so I had to get creative. I used strawberry hair conditioner instead! Simply mix all your ingredients together with a spoon, and then knead by hand until the colour is blended in, and the dough is smooth. You can see in the following photo that the dough starts out looking very course, but ends up being quite smooth. I was guessing at amounts when I mixed up this dough, and I actually used more oil than what I’ve suggested above. I found the dough to be too sticky, and simply added a bit of flour to correct it. Start with the 2 tsp that I’ve recommended. You can always add a bit more oil or a bit of flour to get the dough to the consistency you like. This dough is amazing! It has a soft rubbery quality, and it’s almost stretchy. And the conditioner makes your hands feel great! For our the chocolate dough, we paid a visit to Anna at the Imagination tree. 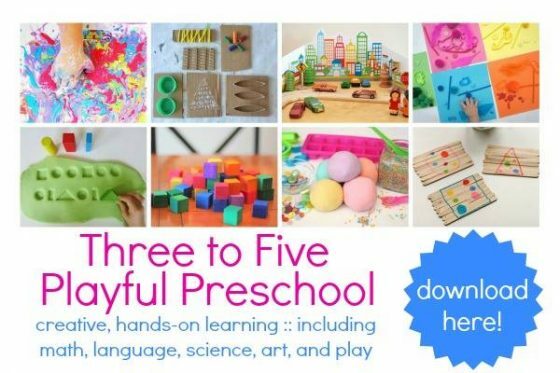 Anna is the queen of play dough, and has oodles of great recipes on her site. 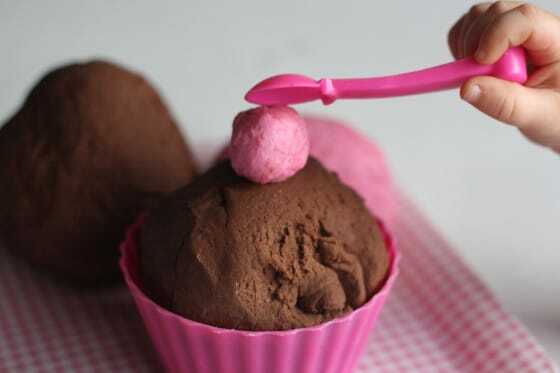 We used her “Easy Chocolate Play Dough Recipe” today. It’s quick and easy, and it looks and smells just like brownie batter when you’re mixing it up. 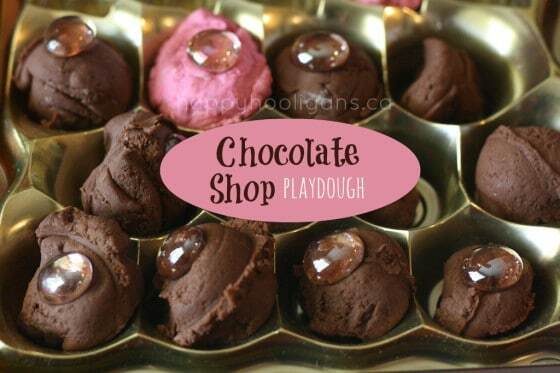 Once we’d mixed up our doughs, I set up a little “chocolate shop” for the hooligans to explore with their play dough. I’d saved all of our plastic Chocolate containers from Christmas, and they were perfect for this activity. 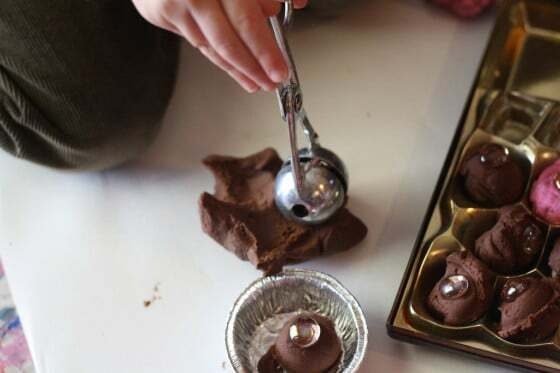 Glass beads were perfect for decorating our chocolates, and spoons, tweezers or tongs help to develop fine motor skills. 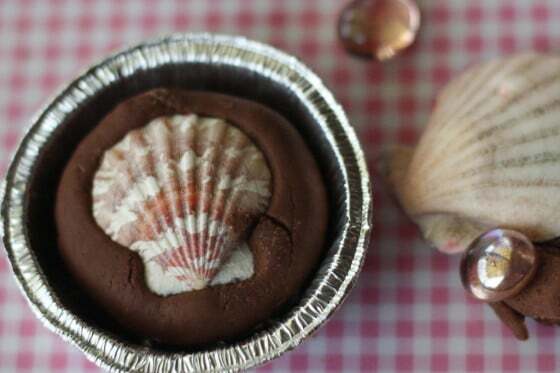 Seashells were fun to press into the dough. They were also used as moulds, and to make imprints. And of course, our meatball scoops! 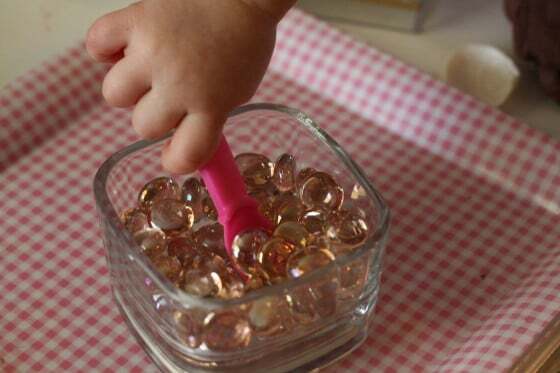 I always set these out with our sensory bins and playdough activities. These are always the most popular tool on the table. 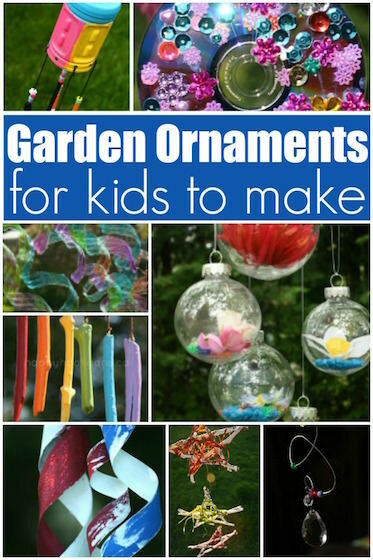 They’re excellent for developing scissor skills, and they really give fine motor and co-ordination skills a work out. They’re also fabulous for scooping and sorting, and because of their design, they were just perfect for forming beautiful chocolates today. I have two sets of meatball tongs, which I picked up at a thrift shop, but you can order them through amazon.com right here from my site. 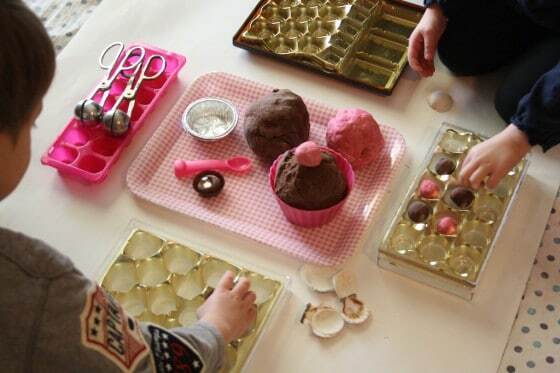 The hooligans played with their chocolate shop for about an hour, making bonbons, cupcakes, puddings and treats. And our house smelled absolutely delicious! 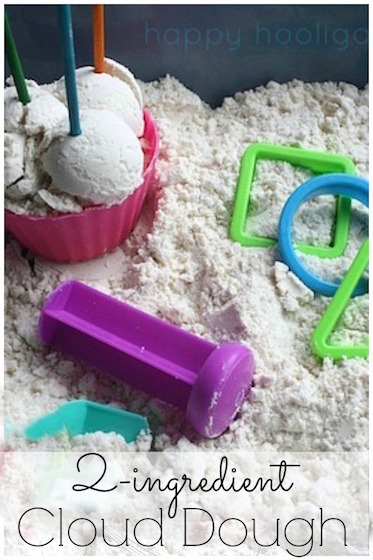 Looking for more homemade play dough ideas? When do you all find time to blog? Bedtime and naptime? 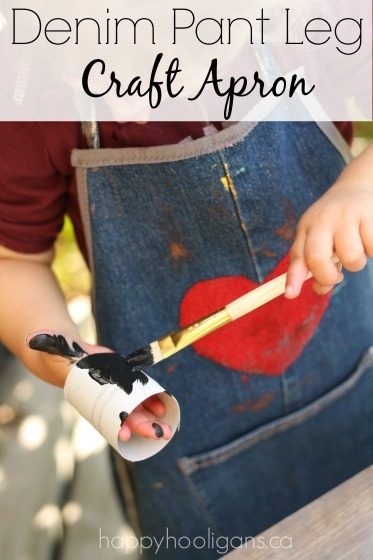 We use cut up shower curtain liners on our art table to keep things clean. When the shower curtain gets too dirty we run it through the washing machine. Awesome idea, Diana! I love it! I was wondering when you find to do your blog posts? Thank-you for finding the time and sharing btw! I do most of my blogging in the evenings and after my boys go to bed. They’re 12 and 15 now so I have considerably more time on my hands than I did when they were younger. I take my photos throughout the day when the daycare hooligans are here, and often I organized them during nap-time, and then I write my posts in the evening. I’m so glad you’re enjoying our ideas, Angeline! Thanks for taking the time to drop me a line! 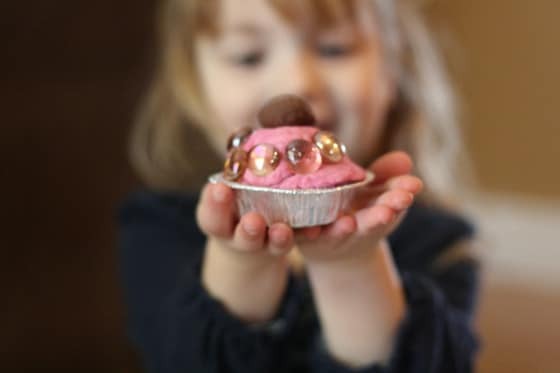 The grandkids and I made the chocolate play dough on Valentine’s Day 2013. 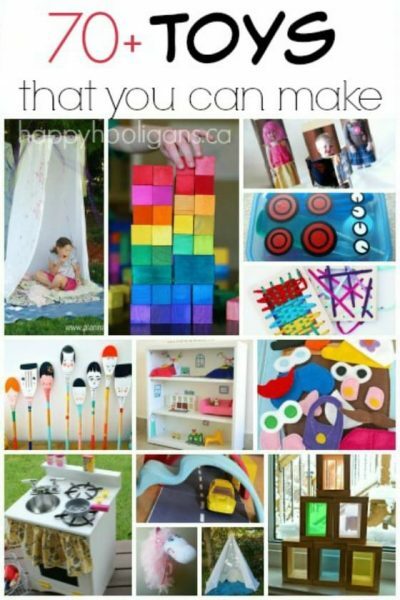 Their creations were allowed to dry and they have been playing with them ever since. They still have the chocolate fragrance. We also made minature ones (1/2″) for American Girl doll treats. A very fun project!! Seriously? That’s great, Anne! I’d have never thought to let them dry for future use. We’ll do that next time! Jackie, I LOVE this invitation to play! Your hooligans are so blessed! 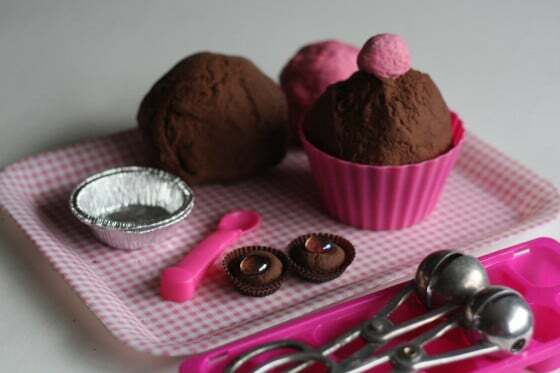 This looks too delicious to play with! Thanks for sharing it at Mom’s Library; I featured you this week! It’s hair conditioner, Lorelei, not shampoo. I think shampoo would yield quite different results. I think I used Suave brand strawberry scented conditioner. And any cooking oil would be fine: vegetable, canola etc.